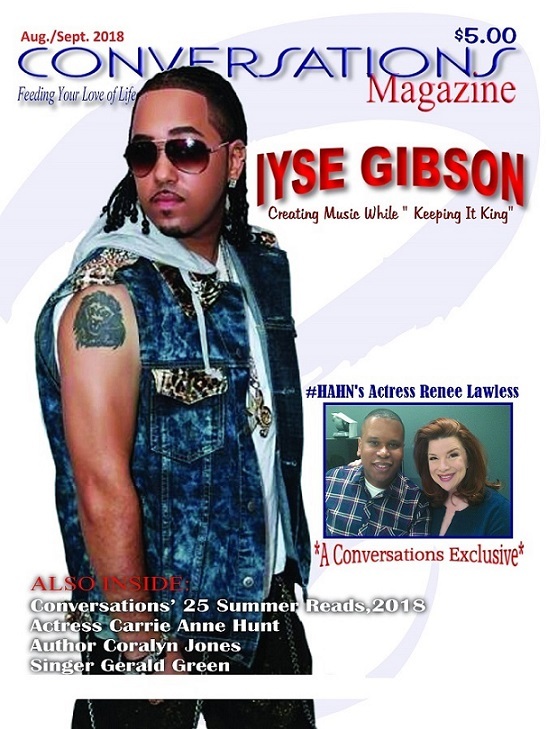 Conversations Media Group is excited to unveil the cover for the upcoming Feb./March 2013 issue of Conversations with Music Magazine. 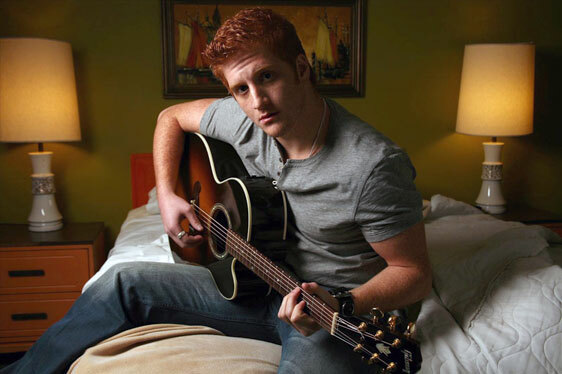 "Conversations with Music has grown tremendously since its debut in 2012," says Cyrus Webb, Editor-In-Chief of Conversations Magazine and the President of CMG. "We are excited that the new issue will not only showcase our growth but highlight some tremendous talent as well. 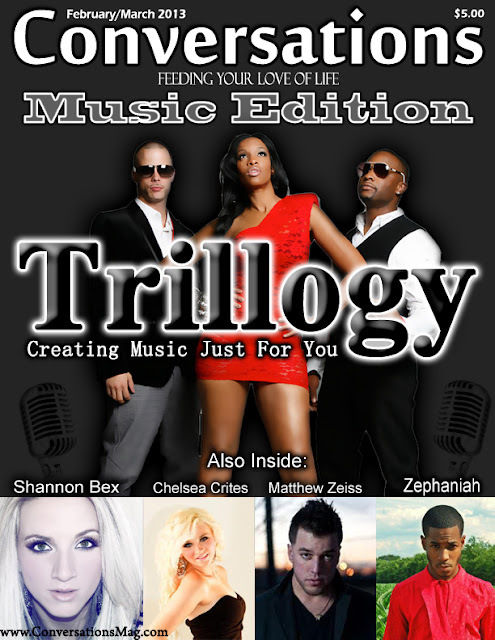 Featuring amazing talent like Trillogy, Shannon Bex, Chelsea Crites, Matthew Zeiss, Zephaniah, Wang Chung and more, Conversations with Music Magazine's first issue of 2013 is packed with great conversations and something for all music lovers. The issue releases Friday, January 25, 2013. You can order your copy for only $6.99, shipping included at https://www.paypal.com/cgi-bin/webscr?cmd=_s-xclick&hosted_button_id=9WB3CJYUVAELE. 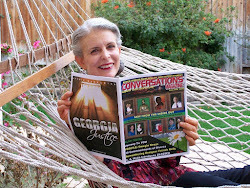 Find out more information about Conversations Magazine at www.conversationsmag.com. 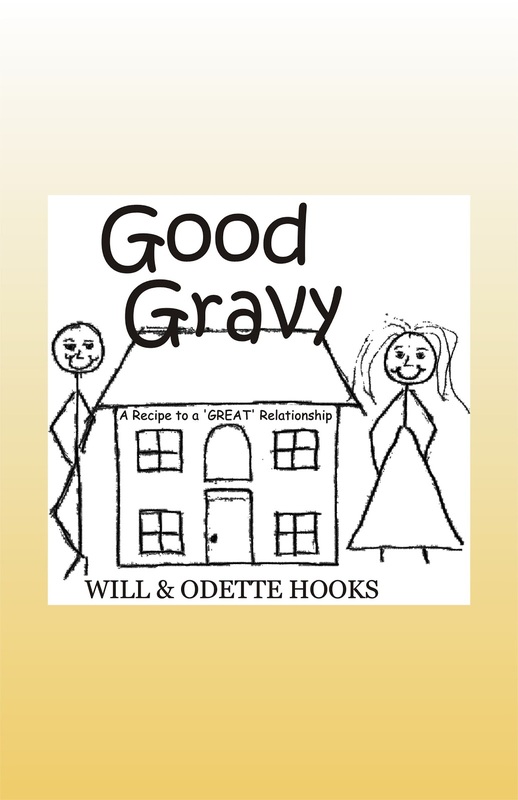 From their relationship self help book, Good Gravy, married co-authors, Life and Business Coaches and Inspirational Speakers, Will and Odette Hooks offer tips you can use in your relationship to keep the fire burning or to start the fire. Tip1: Communication – Effective communication is a must have component to having a strong and healthy relationship. How you communicate with one another is important to how the outcome of the conversation will turn out. Will: Most men dread hearing these heart wrenching words “We need to talk” it usually means something’s wrong or that we’ve screwed something up in a major way. This is especially true when effective and controlled communication is not a strong point of the relationship. Contrary to popular opinion; idle talk is not communicating, nor is casually suggesting how you feel to your partner which is more like beating around the bush. Having a shouting match with your mate then tarring into an out of control tirade is certainly not communicating. Effective communication within a relationship must be a deliberate and thoughtful exercise. Incorporating healthy communication into a relationship serve only to broaden, heal, and strengthen the overall relationship. Odette: In a relationship we, women, have a tendency to talk too much, nag, or yell and scream. This makes it a little difficult for the woman who truly wants to have an intellectual conversation to help dissolve the problem or problems. We must learn to listen and talk to our mate and not at him. Tip 2: Respect – Respect within a relationship is of vital importance whereas each individual has a right to their own opinion and point of view. Though a couple may not always agree on every issue, the presence of respect allows for understanding. One must consider a person’s time, feelings and needs as important enough to render the highest level of respect for their partner. We need to respect each other on a daily basis. Women really need to respect their man especially during a disagreement. Will: The scenario of two opposing genders coming together in creating a relationship strongly suggests that in order for the relationship to be a success compromise must be an essential element. There will undoubtedly be moments of disagreement in any relationship. Respect for the opinion and view of another as well as their right to have a differing perspective is very important. Odette: In general, as women I don’t know if we simply don’t realize how we talk to our mate when we are upset, mad and/or frustrated. We talk down to talk to them like they are a child and not the man we fell in love with. Being that a man likes to feel like a man from his woman, if he is not receiving it he will find it elsewhere. Tip1: Enjoy it! - Being single too long seems to be looked at as taboo for women. This should be a time for a man or a woman to really get to know more about self. Will: What can you say? The single life is a golden opportunity of self-discovery. To sample all that life has to offer in order to make a sound choice of which path ones life will take. Odette: Women seem to be in a rush to get married but I challenge each and every single woman out there to get to know herself and truly fall in love with you. You are special in every way but you have got to know that before you can expect anyone else to discover you’re special. Tip 2: You can do bad all by yourself - A person should always desire to be with someone that helps to “Brings the best out of them” The idea of being in a relationship with someone that brings nothing good to the table or takes away from the relationship far more than they contribute; makes no sense at all. Will: Any relationship that takes away from a person their peace, vitality, joys and enthusiasm for life is only worth letting go. Two are better than one; therefore the idea of a relationship should uplift, inspire, and embolden a person’s individual strengths. Odette: My mother use to tell me this one all the time about life and I took it and applied it to relationships. A man had to bring something to the table other than lies, false promises and the ability to make things convenient be the reason why things don’t work out for him all the time. Tip1: Back Door Entrance (Get to really know each other) - As just friends you will open up much faster and share your dreams, goals, hopes, desire, hurts, pains, etc… than you ever would having met out of the blue and started dating. Will: I would describe friendship as a painless way of building a relationship. Knowing a person from the aspect of a friend greatly minimizes the impact of the unknown issues relating to dating out of the blue. Odette: For those of you who are already in a relationship and believe you have missed the friendship stage I challenge you to learn how to each other’s friend. You will learn so much about one another. Tip 2: The Friend Zone - Don’t get stuck in the “Friend Zone” its hard to get out, but not impossible. Will: If the friendship is true, one should take advantage of this position and communicate the feelings they hold in their heart. Odette: As a woman, I waited until Will showed a definite attraction to me before I took the step to tell him how I feel. Tip1: Law of Attraction – What you put out comes right back; good or bad. Will: In the mind of a man there are only two types of women; ‘Take home” and ‘Take home to Mom’ which category a woman falls in totally depends on what she’s putting out. This will determine what type of man will approach her and what approach he will use. 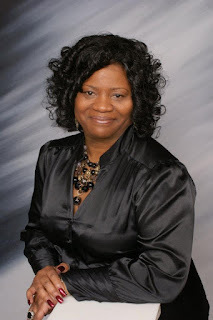 Odette: Ladies you believe in your heart that every relationship you enter into will be like all the rest; then that is exactly what type of relationship you will get. You must know that the next relationship will be the best relationship. Or, the relationship you are in will get better each and every day. Tip 2: A Fool in Love - It’s amazing what someone in love will do for a person that does not love them back. Will: If a person’s relationship is requiring that they abandon common sense on a consistently reoccurring basis that’s a fool in love. Taking care of a full grown individual who is fully capable of doing for themselves is foolish. Will: Somewhere in the course of marriage there is a shift the relationship seems to move away from the gestures and the excitement that got the ball rolling in the first place. This happens deliberately and therefore there must be determination to always hang on to essence of what caused love to bloom. Odette: Woman, show your man your love for him a little differently. Run his bath water sometimes, give him a massage, and tell him all the good things he is to you. Men may not be as nearly as emotional as we are but there still have emotions. Tip 2: Outside Influences - They ruin the best relationships. Will: One of the major influences on any relationship is family and friends, but at the end of the day the relationship is with the person only and not the extension of the person. That time will come. Odette: Stop listening to your girlfriends about your relationship and I would even go a step further. Stop allowing your family into your relationship between you and your mate. They can mean well but they can also be detrimental to your relationship. Tip1: Love - learn and understand what love truly is. Abuse is NOT LOVE! Will: I find it hard to believe that a person can quickly identify abuse when it is directed toward an animal or a child but will somehow rationalize the abuse they suffer as love. Odette: I believe the root of all abuse lies with the person being abused. The person being abused has the control to stop the abuse by removing themselves from the situation. Tip 2: Safeguard & Security - Safety is the first and best key in avoiding becoming a victim of violence. Will: When dating someone you know nothing about, personal safety should always be the utmost thought in a person's mind. A person should never allow themselves to be put in a situation that takes away their control. Odette: Women stop leaving the bar/club with a man you do not know and going to his house. Do you know how many things could go wrong? 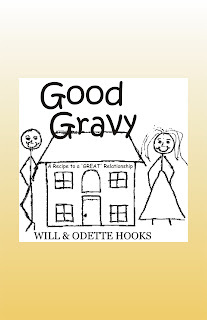 Find out more about the book GOOD GRAVY and its authors Will and Odette Hooks at www.willandodette.com. 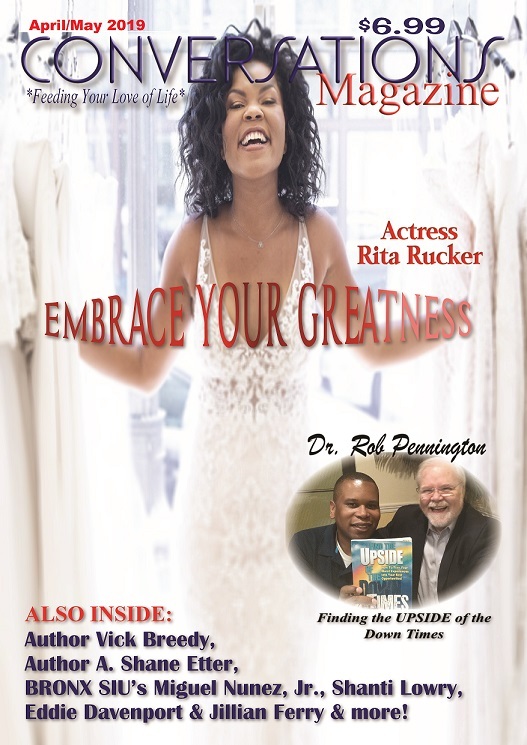 Through my conversations with individuals through Conversations the radio show and the magazine I have been able to not only bring attention to issues that matter but also learn something along the way. Such was the case with author and humanist Jennifer Hancock. 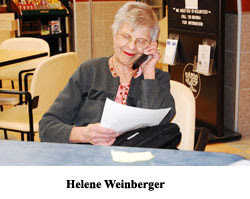 Before prepping to interview her about the book THE BULLY VACCINE I couldn't remember ever hearing of humanism before. Now I understand that it is exactly what I have tried to do with my life and the platform I have: live life to the fullest, love other people and leave the world a better place. What a great thing for all of us. 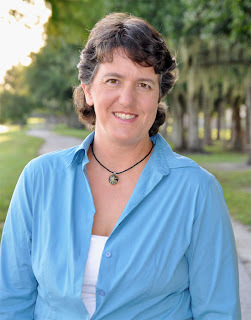 Through the work she is privileged to do, Jennifer has made a mark that is literally helping to transform the way people see themselves and the work they have to do here on earth. They are learning to be better., and it has begun by as Jennifer says making a "cconscious decision how we are going to approach life." That's just it: It's an actual shift in our thinking and our perception of who we are. "Regardless of the difficulties I have in life," says Jennifer, "I'm a happy person. At the end of the day I know I am doing my best to be an ethical individual. Am I perfect? No one is, but I am making a conscious effort to be in control of my emotions so that I can be that good, compassionate person I want to be." That compassion is not going unnoticed. 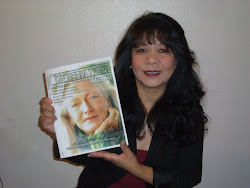 Those who have benefited from Hancock's humanistic approach have made it known, and even discussing it made her emotional. "It's really humbling the kind of feedback I get," she told me. "Part of it is that I'm not teaching anything new." She says the fact that others are being helped to see themselves differently is "deeply satisfying." 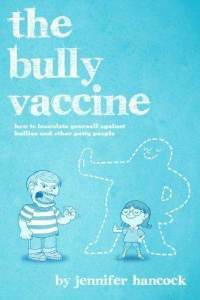 The book THE BULLY VACCINE by Jennifer is one that is getting a great deal of attention right now and for good reason. It is designed to help parents "vaccinate" their kids against bullies. It is her belief that by preparing for interactions with bullies in advance you can effectively inoculate yourself against the worst of their behavior. "The goal is to not be the sort of person a bully targets," she told me. 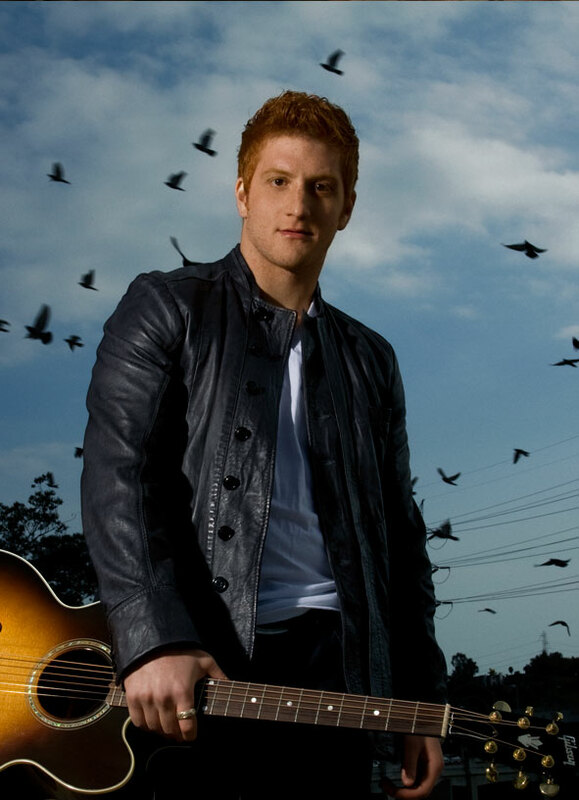 "It is much easier to prevent bullying than it is to stop it once it starts. We can do something about it. Teaching kids how not to be bullies is easy. You don't need all of the kids in the school to learn this. You just need some of the kids to learn it so that they can become empowered to stand up for themselves and other kids as well. When others stand up it ends the bullying culture." Jennifer is convinced that this approach is not only practical but brings about results. "It's such an easy thing to do," she says. "Those of us who care and want to live in a more compassionate society than we do now have a moral obligation to make a commitment to our children to teach them these skills so that we can have that kind of society. It doesn't mean we aren't going to have aggressive kids. Personalities are what they are, but it's about whether the more aggressive kid ever learns how to bully and whether that tactic is successful for them." Like the rest of her life, Jennifer believes that by teaching others the way to treat others is really a direct result as to how we see ourselves. "We are looking out at the world through our lens," she says. "We are the center of our own universe. What we have to do is realize that our viewpoint is by definition biased because it's ours. By reminding yourself that your viewpoint is faulty helps you to be compassionate towards yourself first and allows you to think of conflict in a whole new way." Find out more about Jennifer Hancock and her book THE BULLY VACCINE at www.bullyvaccine.com. In the past I have spoken on the subject of GRATITUDE however, recently I was encouraged to put my words into action; Actions that would transcend through me and directly impact lives. Recently, she incorporated a 30-day challenge. The foundation of Day five’s challenge was focused on extending GRATITUDE. All were instructed to reflect on their individual journey while internally connecting with those who have added profoundness. That profoundness could derive from something as simplistic as a word or action that added a special something within a moment. In addition, all were encouraged to identify three individuals who had touched their lives and forward to them a letter of heartfelt GRATITUDE. As I sifted through my mental Rolodex, cell contacts and phone book I began to understand a reality, numerous individuals have been so good to me. Truth be told, I could write hundreds of letters acknowledging the love, kindness, generosity and mentorship that has been extended on so many levels. In the construction of those three letters existed a power; within the core of that power housed a validation of our interconnectedness. And that connectedness is an intricate part of our identity. As you rush through the Christmas Season and prepare for the New Year, set aside a moment to reflect on those who have stood and those who continue to stand on the front line with you. Regardless, if your act of appreciation is grand or as simplistic as a letter, continue to extend gratitude to those who have added profoundness to your journey. Happy New Year, Love, Peace and Joy. Contrary to what you might think after having set out to keep your New Year's Resolutions in the past, only to see them dissolve in frustration and failure, the brain is the organ of change. The concept in neuroscience called neuroplasticity demonstrates that the brain alters itself every time we learn something new. Our nerve cells are specially arranged by what we learn, what we remember, what we experience, what we feel and what we envision. Our 100 billion brain cells are always communicating with the rest of our anatomy. If you learn even one new bit of information today, tiny brain cells will make new connections within the living lattice work of your system. In other words, when we really change our mind, the brain changes...and then we can effect permanent, lasting change. However, when a second group was asked to mentally rehearse the same scales and cords in their mind for the same amount of time, they grew the same amount of brain connections as the group who physically demonstrated the activity. Simply put, when we are truly focused and attentive, the brain does not know the difference between what is happening in our minds eye and what is happening in the external world. So, when you take the time out of your busy schedule and begin to intentionally dream a new reality, focusing on your goal of losing weight, quitting smoking, exercising daily-for example--just remember that your brain is rewiring itself to your desires and your body is being reconditioned in order to prepare itself for that new event. Therefore, if you mentally rehearse daily what it would be like to experience any transformation, there will be internal changes taking place that will begin to help you achieve your goal. So if you want to Make Change Stick, here are seven initial steps to start you on the path. Create a reward system for yourself. If you can create a chart that you can see or a ledger you review daily and then check your wins off daily, you will begin to make your discipline and changes a new habit....and build a new feeling of self esteem, worth and belief that you are doing it. If however, you fall from grace one day, make the choice to get back into your routine the very next day without wallowing in failure, guilt and self-depreciation. These emotions will surely undermine your efforts and cause you to return to the old self that may have already felt that way for too long. It's always good to see how far you have come and how you are doing. These are but a few starter steps. There is much more that can be done to ensure that you can Make Change Stick. But simply know that it is possible to change. 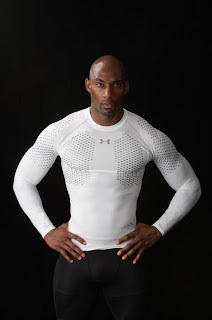 True transformation is possible--and it is possible for YOU! 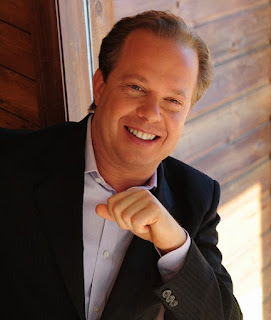 Dr. Joe Dispenza is known as one the world's most prominent brain/change experts and author of the international bestselling books Breaking the Habit of Being Yourself: How to Lose Your Mind and Create a New One, and Evolve Your Brain: The Science of Changing Your Mind. He was also one of the featured researchers in What the BLEEP Do We Know!? Dr. Dispenza will be leading the Making Change Stick workshop Saturday January 19 in Vancouver with step-by-step guidance and meditation techniques, which will also be streamed to venues across North America, with local facilitators present to help people anchor the concepts. 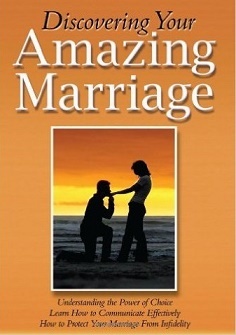 For more information on Dr. Dispenza, his events and his books, go to www.drjoedispenza.com.